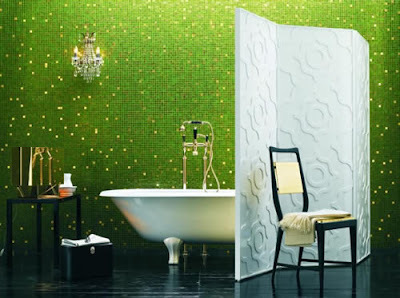 Now that's a bathroom that has me green with envy. Pun intended. Those glass tile the vast space. Wowza! I've been so out of the blog loop this summer I had no idea you'd started another blog Therese. Just found out via Dumbwit Tellher.